Let me start with an introduction to the brand: HICKAP is a Swedish clothing and make-up brand brought to life by Wilma and Emil Holmqvist. These two created a YouTube channel with the purpose to enspire people and they were successful with it. Wilmas Beauty is one of Swedens most popular YouTube channels for teenagers these days. 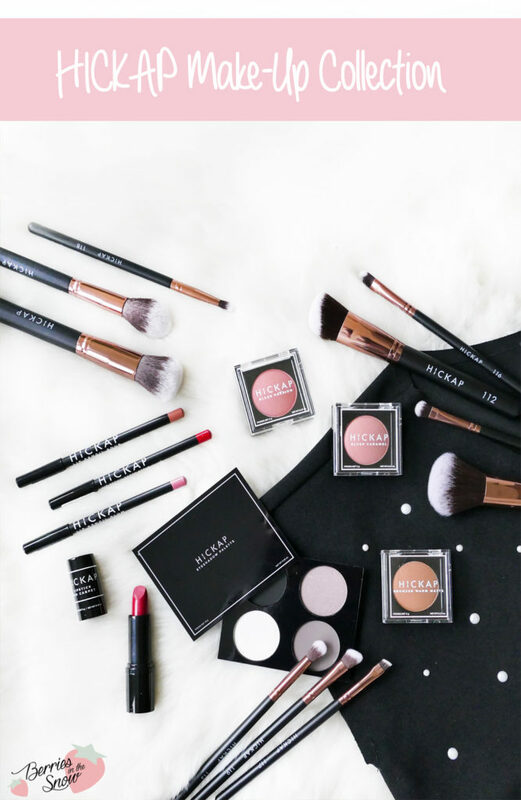 Their newly released brand and its first collection is based on the idea of affordable products boosted with confidence and class. Also, if you are familiar with the online Swedish retailer NA-KD you maybe came across HICKAP, too. 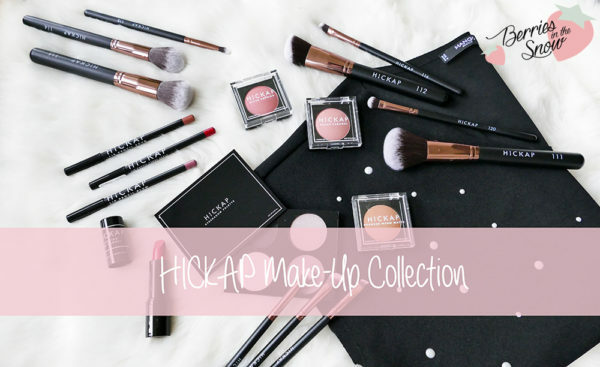 I was really surprised to find so many products reaching from all ranges of HICKAP’s make-up products. After taking all the pictures I knew that I couldn’t put all the pictures in one post, so I grouped them after all. 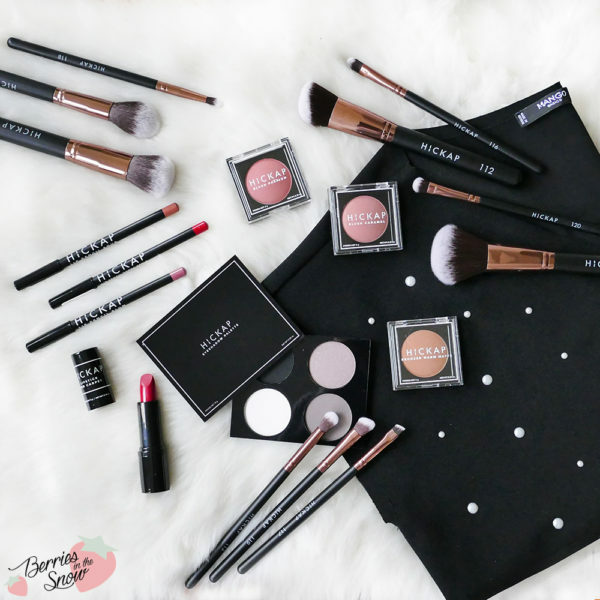 I started with the HICKAP Lip Pencils & Lipstick, continuing with the Blushes and Bronzer yesterday, and today it is about the HICKAP Eyeshadow Palette and the HICKAP Brushes. But first let’s appreciate the minimalistic and very clean design of the HICKAP products. Black is the main color with a very simply white lettering. The design reminds me of timeless brands like MAC or in kbeauty terms Stylenanda’s 3CE. 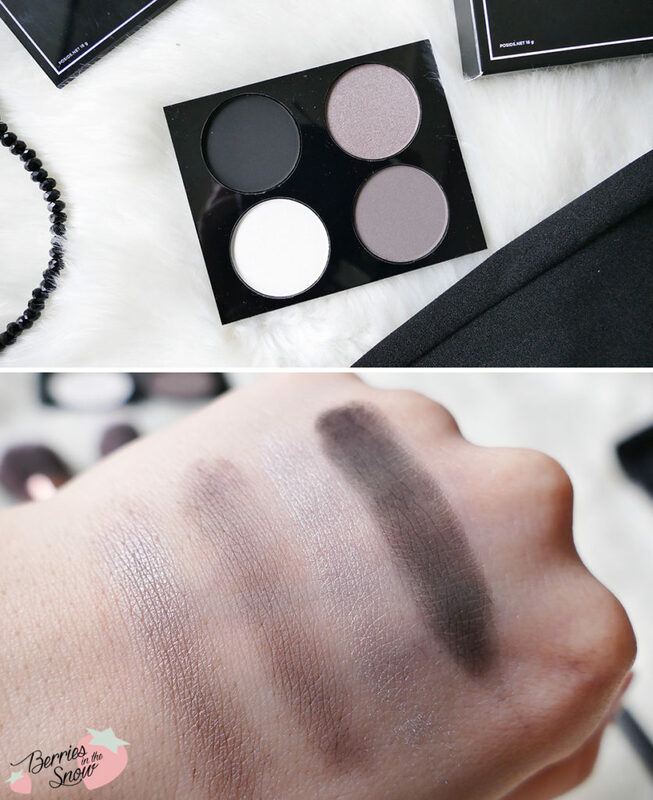 The HICKAP Eyesgadow palette comes in a black square shape with a sleek and simple design. It contains 4 different colors: white, light brown, dark brown and black. Two of the shades have a glowy finish (white and light brown), whereas the other two shades (dark brown and black) are matte. I love combinations of eyeshadows with matte and glowy finish. It makes the colors much more versatile to use. What makes this palette special is the magnetic lid. The lid is attached to the bottom part with four magnets on the corners and can be removed fully and separated from the eyeshadows. I never saw a palette with such a lid before, so I was more than amazed by this little extra feature. As you can see all the four shades have a visible pigmentation, with the white shade being the most delicate and subtle shade. It is a super nice color as a base though in my opinion. I love the matte brown and black shade, that can be used perfectly for smokey eye make-up. The eyeshadows create fall-off when used and again it depends on the brushes how strong the pigmentation turns out. The colors are all in all neutral and can be used for most daily and evening eye make-up looks. I also received 10 brushes from HICKAP of all sizes and shapes, making their Brush Collection. The HICKAP brush collection is a 100% Animal Cruely Free brush set using high quality synthetic hair bristles. These brushes were designed so powder, cream and liquid products are distributed directly to the skin without absorbing or wasting product. 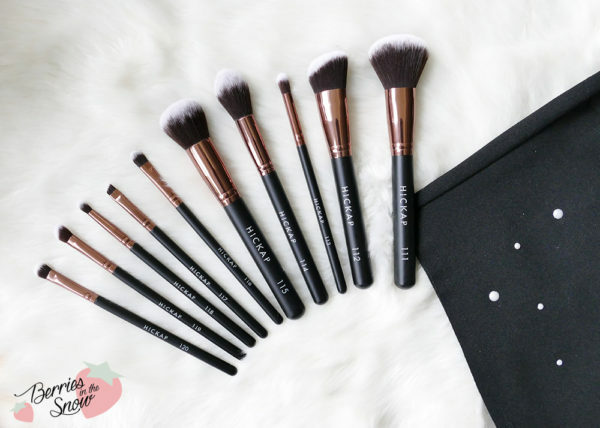 Also, the brushes are coated with an antibacterial solution for minimal brush cleansing that makes your brushes stay fresh and clean for longer periods of time. I haven’t tested the brushes long enough to know, if their claim about the antibacterial solution for minimal brush cleansing is true or not, but I can confirm that their bristles are dense and super soft. The bronze metal part around the handle makes them appear high quality too, and also they seem to be sturdy and not easy to get damaged. For applying eyeshadows and blushes these brushes work very well and don’t dissapoint. I haven’t used them for foundations yet (because I mainly use cushions). I’m almost sad that this is already my last review of the HICKAP products, but I’m also happy that I was able to introduce them to you. I’m definitely not an expert when it comes to eyeshadows and brushes, but I keep learning every day and I’m happy about a set of really high quality brushes to use for learning here. Also the eyeshadow palette contains all the basic shades a beginner needs to have. I like how there are two matte and two glowy shades and I love the special magnetic lid mechanism it has. The HICKAP Eyeshadow Palette is on sale at the moment, too! Just as a short reminder: All products mentioned and reviewed on this blog are of my personal opinions. This product here was sent to me for reviewing purpose by https://hickap.com which doesn’t influence me in providing my honest opinion on the products. Thank you so much, you made me discover this brand which was totally new to me! 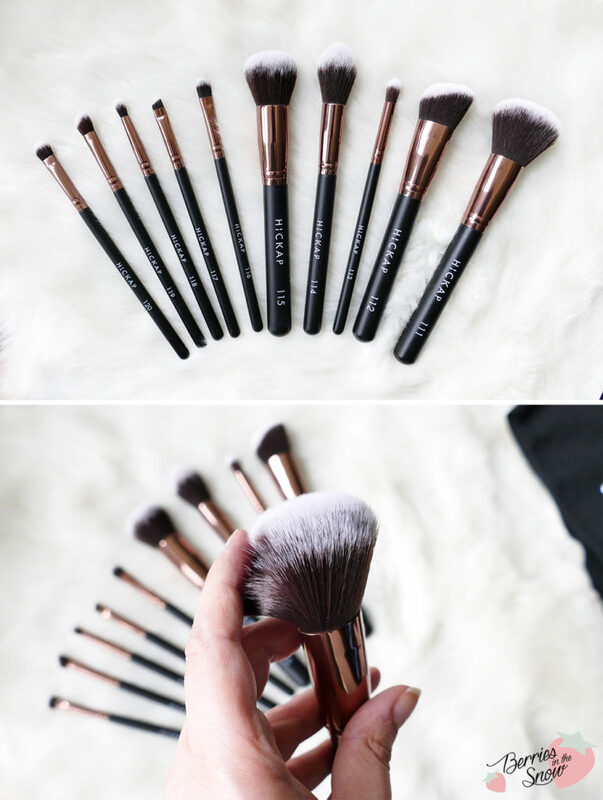 The brushes in your set look very fluffy as well as chic! Wow, sehen diese Farben herrlich aus… vor allem an den Swatches kann man sehen, wie wundervoll sie sind. Missevaloves last post…Ich hab Frühlingsgefühle- Jetzt!